I am just putting the finishing touches on our October issue as I am getting ready to wing my way over the Atlantic to the CERSAIE expo in Bologna, Italy. It’s been a while since I’ve attended this stunning international showcase of tile trends and products, located near Sassuolo, the heart of the Italian tile manufacturing district. Look for a wrap up of the CERSAIE show in our December issue! It was my pleasure to write our annual Women In Tile story for this October issue. Each year, the number of female movers and shakers in our industry seems to grow, so it gets more and more difficult to narrow down the selection for our print issue. But that’s a good problem to have. Please take a moment to meet these talented mavericks in our industry. Many thanks to Tom Meehan, who wrote our Tech Talk feature this month about working with and installing electric floor warming systems. This is a product that brings value and comfort to a range of settings – and not just in cold climates. Here in New Mexico – typically considered the warm and sunny Southwest – we get cold winters and most of our homes are build on concrete slabs. Radiant floor warming systems are perfect additions to home comfort, not to mention the luxury it brings to spas and other settings. Consider if adding this product to your installation repertoire wouldn’t offer your clients value and equate to more money in your pocket at the end of the day. This issue also includes a story about the coming deadline for converting testing to the new dynamic coefficient of friction DCOF AcuTestsm, which will be upon our industry in early 2014. This test protocol will be the standard, so our story is a gentle nudge to be sure your test methods are up to date, and for those specifying to be sure you are receiving DCOF test values with your specs, not the old static coefficient of friction values. Finally, enjoy the review of the recent Silver City Clay Festival, held in August in Silver City, N.M. There were murals to marvel over, amazing clay and tile projects and stunning exhibits. Established last year by Lee Gruber of Silver City-based Syzygy Tileworks, the eventual goal for this festival is to involve different cities and regions of clay-centric New Mexico – and stand in support of the work The Handmade Tile Association is doing to bring exposure to beautiful handmade and decorative tile. There are a lot of wonderful things going on in our industry – not the least of which is Total Solutions Plus, scheduled for the end of October in Bonita Springs, Fla. There’s still time to plan your trip there – visit www.tile-assn.com for details. I hope to see you in Florida! In early August, I attended the Clay Festival in Silver City, N.M. – which you will be hearing more about in coming months. This event wound up setting the stage for an amazing cascade of serendipity catalyzed through social media. Social media – love it or hate it. It can be a huge time waster, a fabulous way to stay in touch with friends and colleagues and an efficient way to get your message out to your audiences. Because we at NTCA/CTEF believe it to be the latter, we recently conscripted the services of Social Structure Marketing to manage our TileLetter/TADA, NTCA and CTEF online presence on Twitter, Facebook, Pinterest and the like, so you’ll be seeing more from us there. recreations to renovate the facility. The missing piece of the story was details about installation, but social media had brought it right to my laptop! Holy cow! Amazing! But it doesn’t end there. Newly enthused about handmade/decorative/art tile from my immersion in it at the Clay Festival, I friended the Handmade Tile Association on that same Facebook account. The VERY FIRST post from that association that day turned out to be work from Cirrelda Snyder-Bryan, a New Mexico clay artist who I knew from a church we attended together years ago, but had lost touch with over the years. I re-established contact with her online. A few days later, I happened to be in a coffee shop in town when I quite literally ran into her – a person I hadn’t seen in about a decade, and yet had only hours before re-established contact with via Facebook. You can’t make this stuff up! Social media also brings me news of fabulous work contractors around the country are doing. It may seem like frivolity to have a Facebook account. Be advised: it is not. In our evolving world, social media is a key way to connect – a way that is only going to get more prevalent as technology advances. Do yourself a favor and establish a presence for yourself and your business, website (you DO have a website, don’t you?) and stay connected to those who want to do business with you. See you online! September 6, 2013, Dallas — Hanley Wood announced today the launch of two events designed to bring the flooring and surfaces industries together. TileExpo, a new trade show focused on the tile industry, will launch in conjunction with SURFACES and StonExpo/Marmomacc America (formerly S2). The International Surface Event will create the largest event for the flooring, stone and tile industries with these three world-class trade shows in one location. The show is scheduled to launch in January 2014. 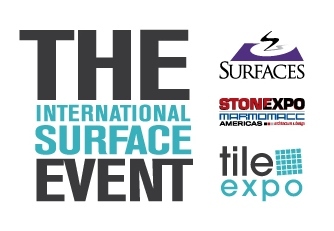 Additionally, Hanley Wood will launch The International Surface Event East, a new trade show that will bring the value and impact of The International Surface Event to the East Coast in October 2014 at the Miami Beach Convention Center. TileExpo will feature a wide array of the world’s most innovative, trend-setting, and distinctive tile products. TileExpo will offer a comprehensive education program, including hands-on demonstrations and on-floor education. Exhibitors will gain exposure to the largest gathering of floor covering and surface industry professionals in North America. The International Surface Event and The International Surface Event East will feature the newest products, hands-on demos, inspiring trends, key manufacturers, and industry suppliers, along with unmatched education and networking. The International Surface Event East will be a valuable resource to professionals seeking either residential or commercial products. The International Surface Event will be held January 27-30 at the Mandalay Bay Convention Center, Las Vegas, NV. Exhibits will be open Tuesday-Thursday and the Education Program opens Monday, January 27 and continues through Thursday. The International Surface Event East will be held October 19-22 at the Miami Beach Convention Center, Miami Beach, FL. Exhibits will be open Monday-Wednesday and the Education Program opens Sunday, October 19 and continues through Wednesday. All operations and show management will be led by Hanley Wood Exhibitions in Dallas. The official sponsor of SURFACES is the World Floor Covering Association (WFCA), the floor covering industry’s largest advocacy organization representing floor covering retailers, contractors and allied service providers throughout North America. The WFCA is a recognized leader in marketing research, industry certification programs, and operates the premier consumer flooring web site, www.wfca.org, providing unbiased information about every type of floor covering and connecting customers to members’ retail stores. The WFCA also influences public policy affecting the floor covering industry and consumers. For more information about the WFCA, visit www.wfca-pro.org. StonExpo/Marmomacc Americas’ Official Sponsors are the Marble Institute of America (MIA) and Natural Stone Council. For over sixty five years, the Marble Institute of America (MIA) has served as the authoritative source of information on standards of natural stone workmanship and practice and the suitable application of natural stone products. Membership in the association is worldwide and includes nearly 1,400 natural stone producers, exporters/importers, distributors/wholesalers, fabricators, finishers, installers, and industry suppliers — all committed to the highest standards of workmanship and ethics. The Natural Stone Council, home of the Genuine Stone® brand, is the leader in the stone industry that represents the major associations who are committed to promotion and education of the industry and general public of the value and benefits of natural stone. Member associations include: Allied Stone Industries, Building Stone Institute, Elberton Granite Association, Indiana Limestone Institute, Marble Institute of America, National Building Granite Quarries Association, National Slate Association and Natural Stone Alliance. For more information about The National Stone Council, visit www.naturalstonecouncil.org. Since 1919, the Building Stone Institute has worked on behalf of the quarries, fabricators, machinery and tools suppliers and others who comprise our diverse natural stone industry membership. BSI provides programs and services that empower and enable our member companies to offer the highest level of quality products and services, and to educate the architectural and design communities on the benefits and uses of natural stone. BSI is a proud continuing education provider with the American Institute of Architects and the American Society of Landscape Architects. Learn more at www.buildingstoneinstitute.org.StonExpo/Marmomacc Americas 2014 official endorsers are Veronafiere and ASI. Veronafiere (Verona Trade Fair Company) is Italy’s most important direct organizer of trade shows and among the top organizers in Europe. Founded in 1898, Veronafiere now focuses on economic sectors of primary importance to the Italian economy, including stone (Marmomacc), construction (Samoter), and wine (Vinitaly). Veronafiere conducts or hosts 37 trade shows a year in Verona and 11 abroad. Marmomacc is the global leader in natural and engineered stone materials and related technologies and design. Samoter is one of Europe’s major exhibitions of construction equipment and earth-moving machinery. Vinitaly is the largest wine trade show in the world. All three are owned and organized by Veronafiere. Hanley Wood, LLC is the premier media, event, information and strategic marketing services company serving the residential, commercial design and construction industries. Through its operating platforms, the company produces award-winning digital and print publications, Newsletters, websites, marquee trade shows and events, Market Intelligence data and strategic marketing solutions. The company also is North America’s leading publisher of home plans. To honor hardworking tradesmen and women, Bosch Power Tools is partnering with Ram trucks to host the Hardworkin’ Heroes sweepstakes. Beginning Friday, Aug. 30 and running through Sunday, Sept. 29, consumers can visit strongeras1.com to enter for their chance to win a new Ram 1500 along with Bosch power tool prize packs (valued at $15,000 each). As part of this sweepstakes, Bosch Power Tools and Ram trucks are offering you an exclusive sneak peek of their Hardworkin’ Heroes Tribute Video. This video goes live on Friday, August 30 – you can see it here first! Recently, I did some painting. House painting, that is – getting my sweetie’s place ready for the arrival of his sister for the wedding of his son (which took place July 20!). Three of us were painting two bedrooms and a hallway on a hot July Saturday in the Southwest. At one point I was holding a plastic cup filled with paint only a few inches from my face as I cut in around the ceilings and baseboards. I had the sarcastic thought, “Oh boy, these fumes are REALLY good for me.” Except, in the next breath, I realized I didn’t smell anything. Then my sweetie revealed that he chose zero-VOC paint since his sister is sensitive to chemical odors and emissions. Wow, what a huge benefit that was! This personal encounter with a product designed to improve the environment, air quality and the planet brought to mind what the tile industry – and the building industry overall – is doing with the tremendous efforts being made through Green Squared®, GREENGUARD, LEED, and a range of other programs and certifications. I’m proud to be part of an industry that is investing in our personal health and the health of that spinning rock we call home. Read about some of those efforts in the pages of this Green issue of TileLetter and see how they apply to what you do and how you do it. This has been a busy summer for many of us and maybe the busiest year I’ve ever lived through personally or professionally. On my way back from a visit with my family in New Jersey, I swung down to Kentucky to tour the Florida Tile corporate headquarters, manufacturing and distribution facility. 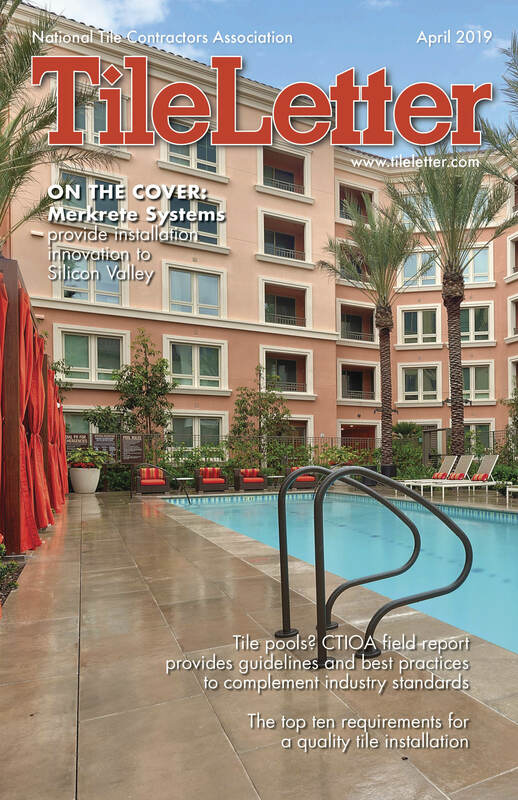 Check out the chronicle of my experience at the tile producer in this issue – a tile producer, I might add, that is one of only 11 companies who currently have Green Squared Certified® products onboard. 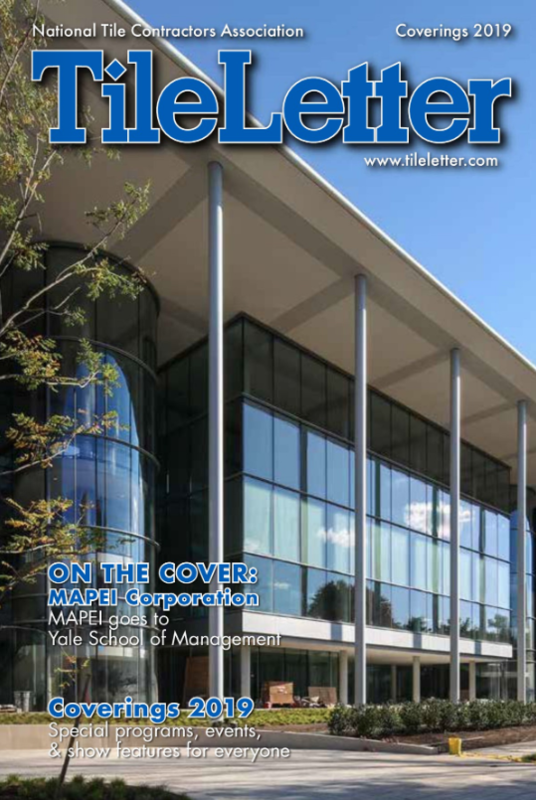 You’ve picked the right publication to stay on top of what’s happening in our industry! Thanks for reading! If you have not had a chance to purchase a ticket for the CLAY Gala at the Silver City CLAY Festival on Thursday night, August 1, during the exhibition opening A Tile & A Vessel, think about doing so! 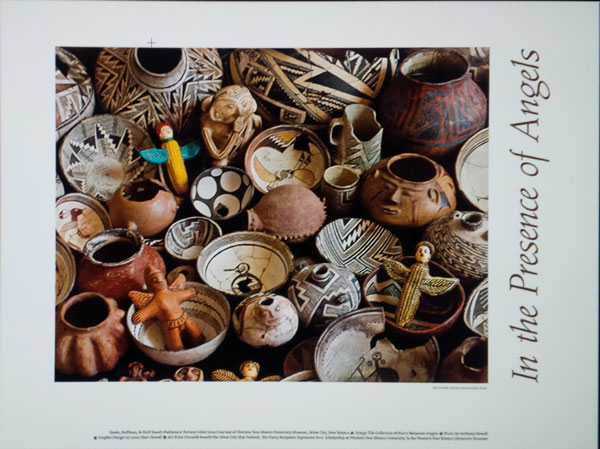 One of the items to be highlighted during the silent auction will be a signed giclée print photograph by Anthony Howell featuring Western New Mexico University Museum clay artifacts from a number of prehistoric cultures that lived in the American Southwest and the Syzygy Tile Collection of Harry Benjamin Angels. According to Bettison, the idea to combine prehistoric and contemporary clay objects in a single photograph occurred during a Clay Festival meeting with Clay Festival Director Lee Gruber and Neo-Mimbreño 2013 Vessels curator Diana Ingalls Leyba when she was showing them Anthony Howell’s photograph of the NAN Ranch Collection Mimbres Pottery, most recently seen on the 2013 July issue of Desert Exposure. Early discussions centered on including works by several contemporary local clay artists with clay artifacts from the University Museum’s extensive prehistoric collections. But, when Silver City artist Harry Benjamin passed away unexpectedly in May, all three women agreed that the first art print for the Clay Festival would feature one single clay artist—Harry Benjamin. Anthony Howell was a natural choice to be the photographer, having photographed WNMU Museum’s collections for the past 15 years, resulting in the museum’s signature advertising photographs and new art print photographs featuring the NAN Ranch Collection and other museum collections. While there will be only one signed Anthony Howell giclée print for the CLAY Gala silent auction with the proceeds benefitting the Clay Festival, a limited edition art print designed by Laura Howell using Anthony Howell’s photograph will be available during the Silver City Clay Festival. The art print, aptly named In the Presence of Angels by Lee Gruber of Syzygy Tile, is limited to a run of 100. It is available for purchase at The WNMU Museum Shop and Leyba & Ingalls Arts. The proceeds of the sale of the print will benefit the Silver City Clay Festival, the Harry Benjamin WNMU Art Scholarship, and the WNMU Museum. Western New Mexico University Museum is open Monday through Friday 9 am to 4:40 pm and Saturday and Sunday 10 am to 4:00 pm. It is closed university holidays. Admission is free and it is handicapped accessible. The University Museum is located at the top of 10th St within the university campus. For more information about the University Museum, upcoming exhibitions, and WNMU Museum sponsored Clay Festival events, please visit www.wnmumuseum.org. For more specifics and to register for all Silver City CLAY Festival events, visit clayfestival.com or call 575-538-5560. The 2013 Silver City CLAY Festival will showcase tile, pottery, adobe, and natural building processes. Taking place July 27 – August 4, CLAY 2013 will include workshops, demonstrations, sales, and exhibitions of clay art of all kinds; child-friendly activities, lectures, tours, and films; gallery receptions, an opening night gala, an Adobe Labyrinth Build workshop, and more. 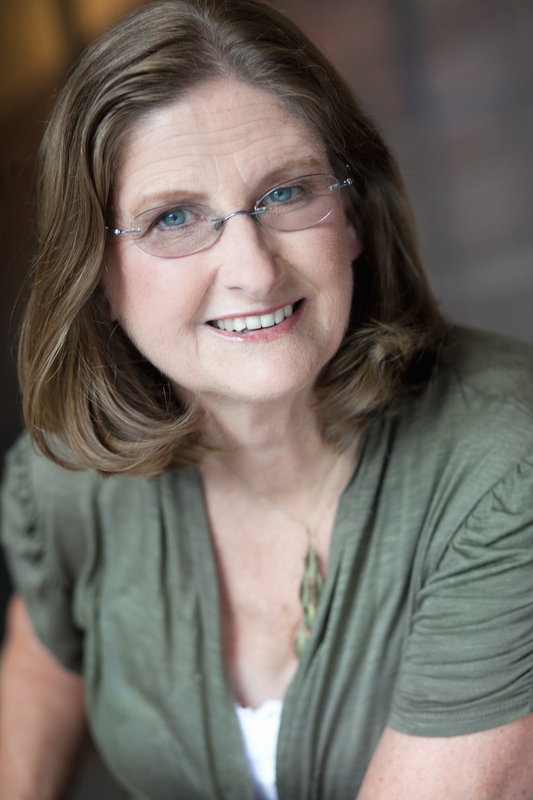 Hohn & Hohn, Inc. spawned from humble beginnings over two decades ago, when Jan and her husband bought an old house and began the lifelong task of remodeling. As a DIYer, the journey into the tile world instantly began for Jan. 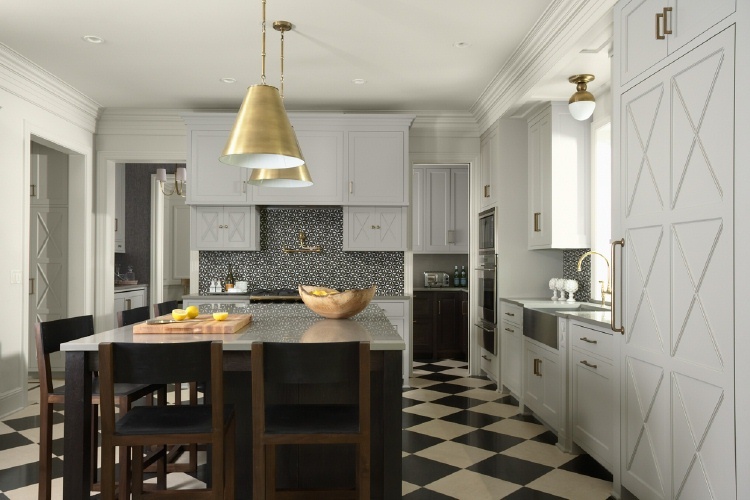 Her first project was the kitchen backsplash, and her work brought kudos from the general contractor working for her at the time: “You do that better than most of the guys out there!” That sealed it. Bitten by the remodeling bug and looking for a new career path at the time, Hohn & Hohn , Inc. was born. But why Hohn & Hohn? Besides her interest in tile, Jan was also interested in design . So one “Hohn” represented a tile contractor and the other “Hohn” a home remodeling consultant. Each “Hohn” just happened to be Jan Hohn. Looking back, Jan admits that while her first backsplash looked good, she really didn’t understand the necessary prep needed for a quality installation. Therefore, she decided to seek out a tile installation education. Jan frequently attended seminars at distributors, inquired about their products and installation methods and built relationships with vendors. Attending IT&SE (now Coverings) really opened her eyes to the magnitude of the tile industry. Jan became active in the local tile association and served on the association board and as president. In 2009, she became the first woman NTCA member to be certified through CTEF’s Certified Tile Installer program. Jan now serves as Region 7 Director on the NTCA Board of Directors and is Chair of the Training & Education Committee. Jan is also a member of the NTCA Technical Committee and is active on the Methods & Standards Committee. Hohn & Hohn, Inc. is known for quality installations, attention to detail and servicing clients — whether they are general contractors, designers, architects or homeowners. Working in the remodeling and historic restoration arena has given Hohn & Hohn, Inc. latitude with clients in design and tile selection. Recently, two Hohn & Hohn, Inc, installations have won Tileletter Awards. This residential stone project consisted of over 1200 sq. ft. of White Bulgarian and Irish Blue limestone throughout the front entry, hallways, powder room, kitchen, back entry, and pool bathroom; along with a three-color stone mosaic kitchen backsplash. One of the challenges on this project was the layout. Trying to keep all areas centered with the inset cabochons and borders as the drawings demanded resulted in reframing some of the walls instead of compromising the pattern. the hardwood floors were not level. 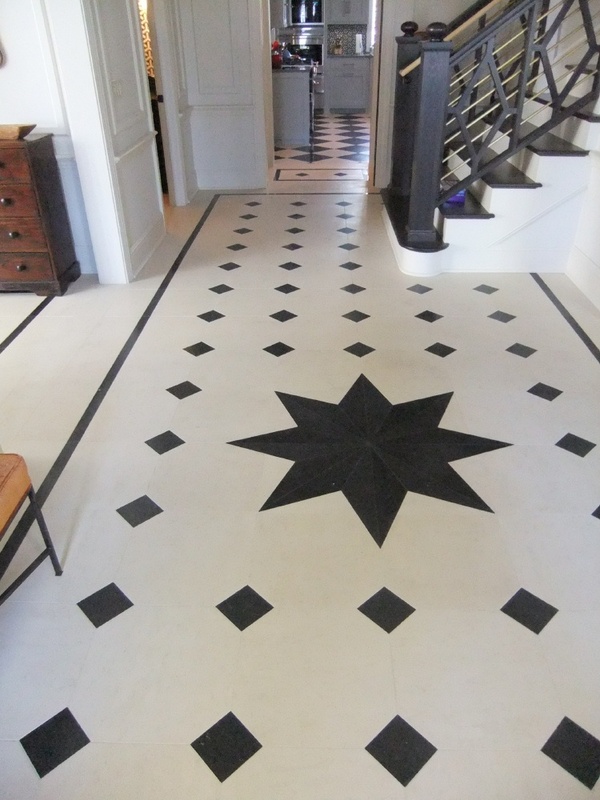 Also the limestone came in three different thicknesses which made the installation of a flat, tight jointed floor a bit more work, but ended with great results. A common symptom I come across in investigations is ceramic or stone tile (“tile”) that sounds hollow. A simple way to check for the sound in question is to tap on the tiles with a hard object such as a steel ball bearing. Chains or special sounding devices can be used for larger areas. If the tile is well bonded (i.e. attached to the concrete substrate), it will have a high-pitched sound. If you hear a lower-pitched or a hollow sound, this can indicate that tiles have debonded, or were never bonded, somewhere within the tile assembly. Large tile areas can be sounded with a chain. A low tone is not a cause for immediate panic, however. A low-pitched sound can also occur and not signify there is a problem – the type of sound you hear also depends on the configuration of the tile assembly. For example, when tile is installed over a less-dense substrate — as in the case of wood, a non-bonded mortar bed, a sound-control mat or other membrane, or over a steel- framed wall — tapping often produces a hollow-sounding tone even though the tile may be well attached. Depending on the tile assembly configuration, the hollow sound might be a lower or higher-pitched sound, and vice-versa for the solid sound. So how does one determine whether the elusive “hollow” sound is the bad type? If an entire tile installation sounds hollow it may be a result of the type of substrate that was used and not an indication of a problem. In my experience as an investigator I’ve rarely seen an entire installation that’s debonded unless there are other symptoms like loose or cracked tile and grout. What signals debonding is a differential in sound from one area of an installation to another, or from one portion of the tile to another. Let me explain: if I’m investigating a 1,500 square foot tile floor in a restaurant and I sound the entire area, calculating that only 75% of the tiles sound “solid” and 25% sound hollow, this can raise a red flag. The hollow-sounding areas could signal several things: the thin-set adhesive could have debonded from the back of the tiles, or the thin-set could have debonded from the substrate. If the substrate is a bonded mortar bed, it’s possible that the mortar bed has debonded from the concrete slab. Notice if the hollow-sounding tiles are grouped together or are the spread out randomly — and is there pattern? Does the whole tile sound hollow or does only a portion of the tile sound hollow? In this instance, one also wonders about the solid-sounding tiles: do they have the same problem but haven’t debonded yet and might at a later date? Tiles can be sounded with specially-made devices. Hollow sounds produced by tapping tiles can also be a result of an improper installation method called spot-bonding. Spot-bonding is when an installer applies “spots” of adhesive on each corner of a tile and one in the center, and then presses it into place. This leaves voids under the tile, and ultimately throughout the entire installation, which can lead to big problems. When this method has been used you’ll hear the hollow sound where there is no adhesive (the voids) and you’ll hear solid sounds where the tile is spot-bonded. You can tap a tile with a ball bearing to test for hollow-sounding tile. The spot-bonding method is a problem in several ways. 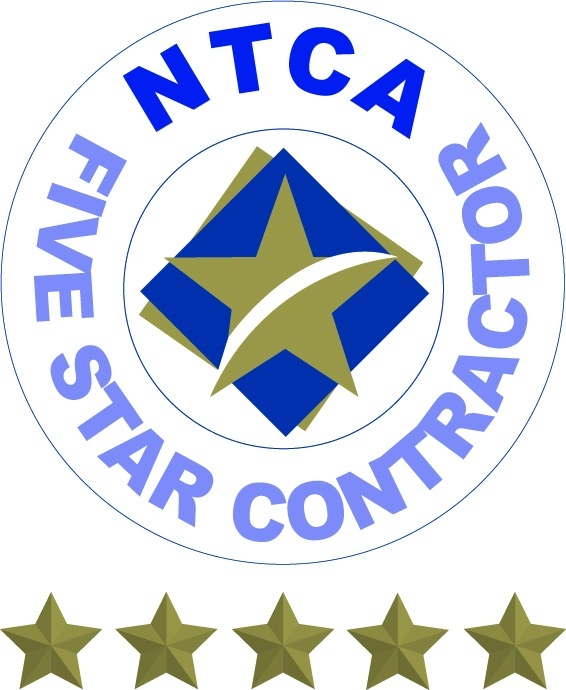 It does not meet industry standards for coverage either for residential floors (80% contact required) or commercial floors, exterior applications and interior wet applications (95% contact required) — all with no voids greater than 2 square inches and full thin-set contact at all tile edges and corners. Spot-bonding — often improperly used — can contribute to tile voids. Spot-bonding also reduces the bond strength of the tile and its attachment to the substrate, making it more susceptible to stress and causing debonding under certain conditions. Voids that occur with spot-bonding become pockets for water and moisture to collect, which could lead to efflorescence and other moisture-related problems. The lack of support beneath the voids also make the tile more vulnerable to damage from live loads such as falling heavy objects, heavy equipment, rolling vehicles, loaded dollies, carts, etc. Spot bonding is only appropriate when used either for mechanically anchoring stone slabs or in tile applications using an epoxy adhesive for a ventilated wall system. The only way to substantiate if tiles have debonded and to determine what has caused it to debond is to remove tiles with the various conditions from different areas of the installation for comparison – some that are hollow sounding and some that are solid sounding. By extracting pieces of tile and substrate(s) you can determine what’s different in the assemblies of the hollow vs. solid sounding tiles and, determine whether individual defective tiles can be simply repaired or if the entire installation needs to be replaced. Removing solid-sounding tiles not only shows differences in how it was installed, but can also show similarities to hollow sounding tiles. Sometimes solid sounding tiles have also been improperly installed or compromised, but have not been subjected to the same stresses as tiles in other areas; these tiles may look okay, but they may eventually debond and need to be repaired. On the other hand, you may find that a bonded mortar bed has debonded from the slab, for one reason or another, causing the hollow sound, but that condition will not cause any resultant problems in terms of the long term performance of the tiled floor. Voids under tile can weaken the tile and cause breaking. The concrete substrate is not properly prepared. Concrete curing compounds may act as bond breakers or the concrete surface is too dense and doesn’t absorb moisture well enough to allow thin-set to achieve an adequate bond. The backs of the ceramic or stone tiles are not properly cleaned before application. Dirt and manufacturing residues are contaminants and act as bond breakers. Thin-set mortar adhesives will “skin over” during the curing stage and will lose tackiness, thereby reducing the bond to the tile. Improper slaking or mixing causes this; so does applying thin-set over a too-porous substrate. Other factors that contribute to debonding are excessive floor or wall deflection (vertical movement) and the lack of movement joints (expansion joints). This can result in tile tenting to release pressure from the tile assembly. The best way to ensure that you don’t end up with tile and stone installation problems is to verify that installers are following industry standards. The Certified Tile Installer program through CTEF and the Advanced Certifications for Tile Setters (ACT) program validate basic – and in the case of ACT – advanced skills possessed by the tile setter. Visit www.ceramictilefoundation.org for more information. The University of Ceramic Tile and Stone (UofCTS) offers a convenient and practical online education course for tile installers (setters and helpers) to learn the current industry thin-set and substrate preparation standards. Visit www.CTaSC.com for more information. It’s very important to have clearly-written architectural specifications providing for specific quality assurance requirements to ensure that the right products and methods are used for the intended applications. Installers should have their own internal quality control plan as a way to avoid potential problems and to catch deficiencies early on so they don’t become a costly problem. The quality control process in itself becomes a platform for training installers to make sure they understand and follow industry standards. Make sure you are up to date on, and follow, the industry standards, and that you read and follow the manufacturers’ directions to avoid costly problems down the road. Donato Pompo CTC CDT CMR MBA has worked in the ceramic tile and stone industry for over 35 years as a union installer, an importer and distributor for, and a sales manager for an international manufacturer of installation products. Donato has operated his own forensic and consulting business for over 12 years and serves on a number of industry committees. For more information on Donato and his company, Ceramic Tile and Stone Consultants, visit www.CTaSC.com or email [email protected]. Hope your summer is going well. It seems impossible to be looking ahead to our fall industry event, but indeed we are – Total Solutions Plus, scheduled for October 26-29 at Bonita Springs, Fla., at the lovely Hyatt Regency Coconut Point Resort and Spa. This year, the Tile Contractors Association of America (TCAA) joins the Partners in Progress that traditionally stage this conference: National Tile Contractors Association (NTCA), Ceramic Tile Distributors Association (CTDA), and Tile Council of North America (TCNA). Flip over to page 66 for a sneak peek of the events in store at this growing must-attend annual industry summit. This is a perfect setting for relaxed networking, learning and inspiration from industry experts and a great chance to talk to suppliers at the tabletop exhibit portion of the conference. 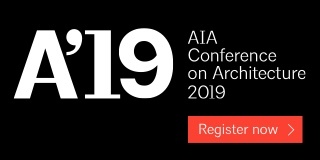 Be sure to visit www.tile-assn.com to learn more and register for the event! Dan Welch’s July letter got me thinking that it was a good time to try to squeeze that page in again – we love our work, but also love our workers, friends, family (even furry ones as you will see) and colleagues, and it’s important to celebrate those whom we treasure. Be sure to also read Donato Pompo’s technical feature about hollow-sounding tile. He gives some important tips for “sounding” tile, what to do if the tile sounds hollow, and installation conditions and methods that may contribute to the situation. Finally, as you know, the NTCA Tile & Stone Workshop is currently touring the country with NTCA presenters Gerald Sloan and Michael Whistler bringing training and education to local host sites. 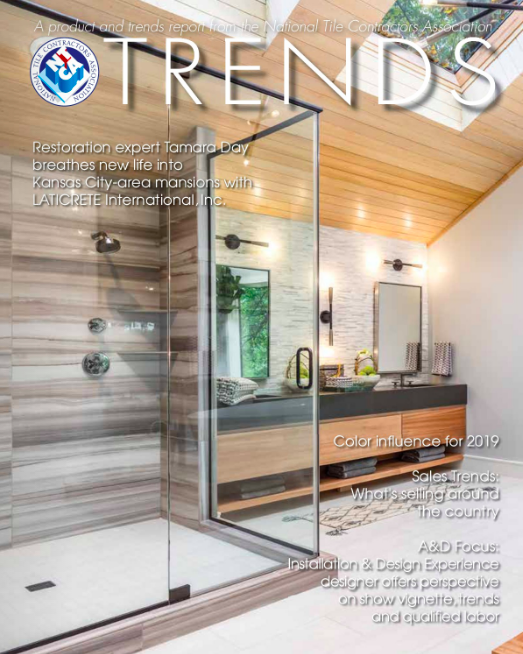 In this issue, we take a look at the May ISC Surfaces event in Lenexa, Kan., and St. Louis, Mo. – and the impressive showroom setting provided by the ISC Surfaces folks. Have a great summer, and remember to take time to for the balance of relaxation and quality time with family and friends. Art Odom, who has served as vice president and CFO of David Allen Company for 22 years, has been named president of the company. He brings to this leadership position an extensive financial and operational background, having practiced as a CPA with a large accounting firm for six years prior to joining David Allen Company in 1991. He has provided leadership throughout the company, including financial oversight of its branch offices. Art states, “My vision is to build on David Allen Company’s strong marketplace position and job performance record. We will continue to seek new growth opportunities while maximizing our strengths in marketing and customer relations.” Art assumed his new position on July 1, 2013. Other leadership changes include David Roberson, who will begin serving as CEO while continuing his oversight of the company’s large terrazzo operation, and Martin Howard, who will be executive vice president for Tile, Stone and Branch Operations. Robert Roberson will continue as chairman. With offices in Raleigh, Washington, D.C., Columbia, Birmingham, and Miami, David Allen Company is one of the nation’s largest tile, marble, and terrazzo companies and is celebrating its 93rd year.